The membranes and fluid that surround protect and nourish the brain and spinal cord is known as the craniosacral system. Few systems have as much influence over the body’s ability to function properly as the brain and spinal cord that make up the central nervous system. And few systems have as much impact on the central nervous system as the craniosacral system. Every day your body endures stresses and strains, and your structures work to compensate for them. Unfortunately, these changes often cause body tissues to tighten and distort the craniosacral system, which can then cause tension to form in and around the brain and spinal cord. The result is a barrier to the healthy performance of the central nervous system. And potentially to every other system in the body that it interacts with. Fortunately, such restrictions can be detected and corrected using simple methods of touch. Generally using about 5 grams of pressure – the approximate weight of a single nickel – the craniosacral therapy (CST) practitioner uses his or her hands to evaluate the craniosacral system by gently feeling various locations on the body to test for the ease of motion and rhythm of the cerebrospinal fluid pulsing around the brain and spinal cord. Soft touch techniques are then used to release restrictions in any tissues influencing the craniosacral system. By normalizing the environment around the spinal cord and brain, and enhancing the body’s ability to self correct, CranioSacral Therapy is able to alleviate a wide variety of dysfunctions, from chronic pain and sports injuries to stroke and neurological impairment. CranioSacral Therapy is a preventive health measure that almost anyone can benefit from. For more pressing concerns, CST has proven especially effective on perplexing cases that have not responded well to other approaches. 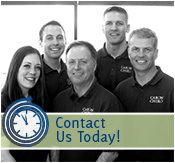 CST is particularly helpful to those suffering from head, neck or back injuries resulting from accidents of any kind. The extremely light and gentle touch makes CST a safe approach for children and even infants who have experienced early stress, including birth trauma. By releasing restrictions around the central nervous system early, you may prevent future difficulties including learning disabilities and hyperactivity.